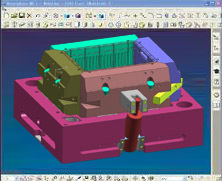 Shiny Mould Co.,Ltd is experts in 3D design, industrial design, mold design, rapid prototyping and implementation of CNC for optimization of production processes, among other services. Shiny Mould Co.,Ltd has a group of experts who work exclusively with each client to establish the best options and specific requirements for each product line, prototype or design you want. The goal of Shiny mould is to provide solutions to industry, helping to effectively reduce costs and optimize all processes. 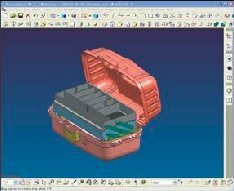 We have highly skilled software, including the latest tools in CAD-CAM, Unigraphics and Pro / Engineer wildfire, by providing them with simulations and alternatives for the development of alternative products with great practical application for the plastic industry manufacturers. 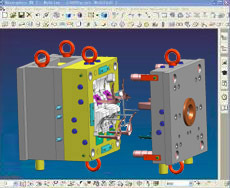 Through our comprehensive services in Industrial Design, Prototyping, Packaging Plastics-Mold, your company will have the opportunity to obtain maximum performance in less time, for the most economical production of parts or molds and achieve more economic optimization of all absolute production processes. 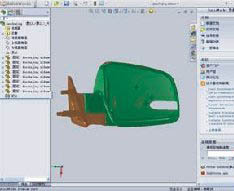 Shiny Mould Co.,Ltd invite them reach new levels of profitability and productivity. Email us or contact us to find the ideal solution in mechanical design for industry for all their CNC machines.